Whether you’re just thinking about a Disney vacation, in the midst of planning your first trip or your 50th trip, welcome to my blog! My name is Diana and I live in London, Ontario with my five favourite guys: my hubby, two young sons, dog and cat. By day I work as a psychometrist and vocational rehabilitation consultant. By night I am Canadian Disney Mommy, blogger and researcher of all-things Disney! As a mom with two preschool aged sons with multiple trips to Walt Disney World Resort under my belt, my goal is to create a blog with relevant tips and reviews (and a bit of a Canadian perspective here and there) for those families thinking about making the big trip to DW with their little ones. I hope that I am able to assist in answering the same questions that I had before I planned my first trip including subjects on planning (e.g. 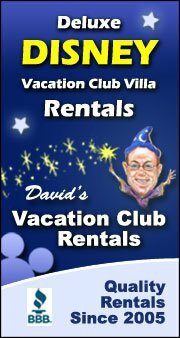 finances, budgeting, where to book, etc), park tips (how to visit DW without breaking the bank, time saver advice, travelling with small children, etc.) and reviews (on parks, restaurants and attractions). We recently became Disney Vacation Club members and plan on taking annual trips to Walt Disney World Resort and I can’t wait to share my experiences with you on this blog over the years. I welcome all questions, advice and comments. Please fill out the form below to get in touch with me. Consider joining my Facebook page for fun posts, tips and notifications on new blog posts.